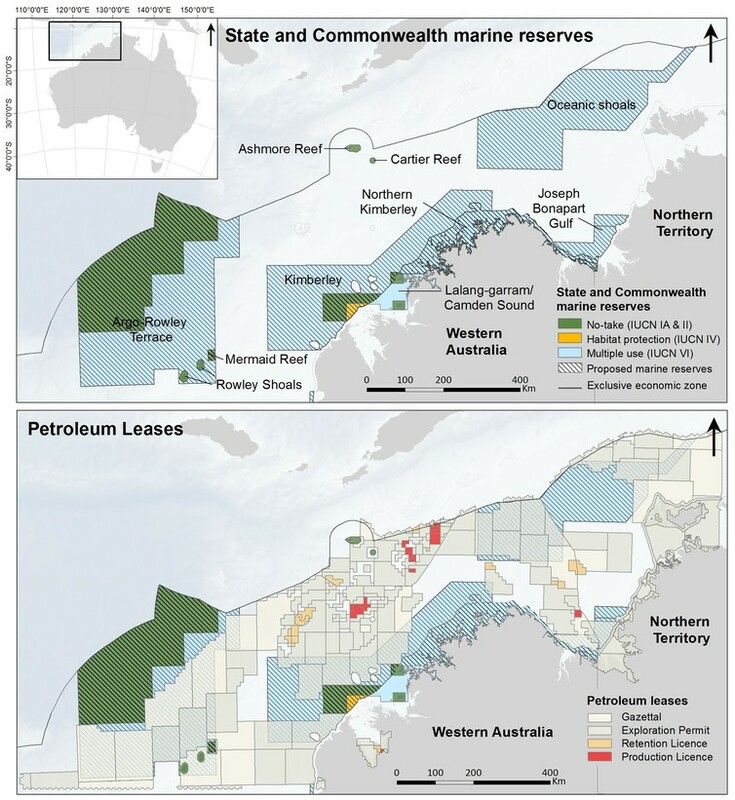 Proposed and existing state and Commonwealth marine reserves in northwest Australia shown in relation to petroleum leases. 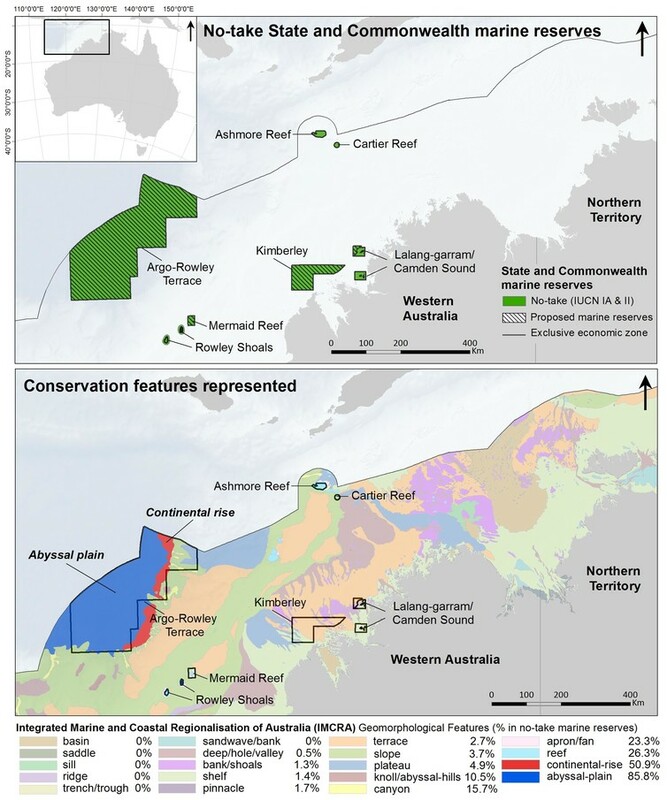 The majority of the no-take marine reserves lie over a deep abyssal plain. 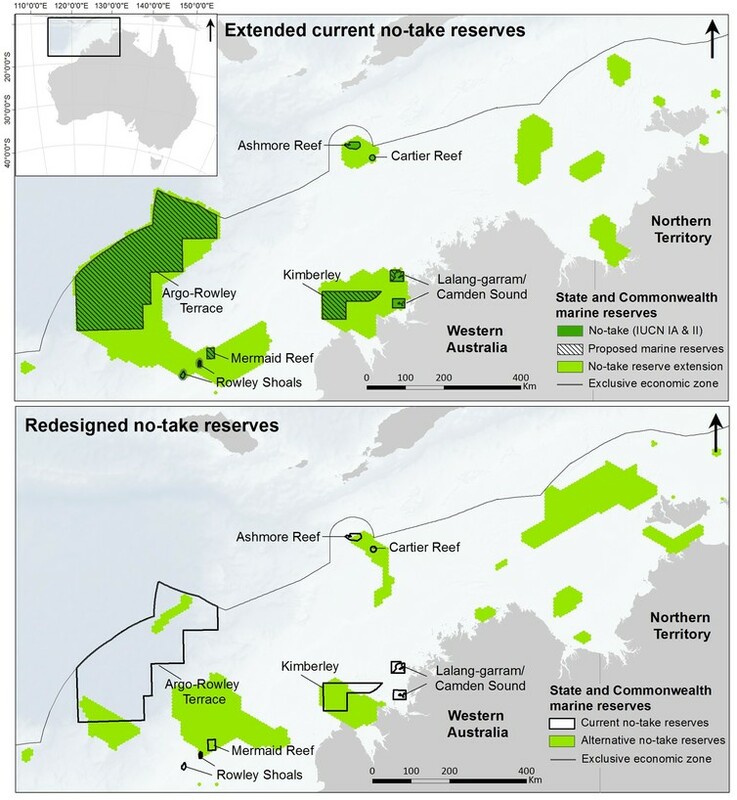 Examples of how the no-take reserves could be extended or redesigned to represent the region’s unique species and habitats.